Charles Henry Lindsay was born in Heywood in 1888 to Francis Lindsay and Clara King. His family moved to Ballarat where father Francis died in 1909. By 1912, Clara had moved with her family to Wallacedale and by 1914 they were living in Hamilton. During his short time in Hamilton where he worked as a cook, Charles had become popular among those who knew him. With the 6th Battalion, Charles sailed on 19 October 1914. After time in Egypt, the 6th were part of the second landing at Gallipoli on 25 April 1915. 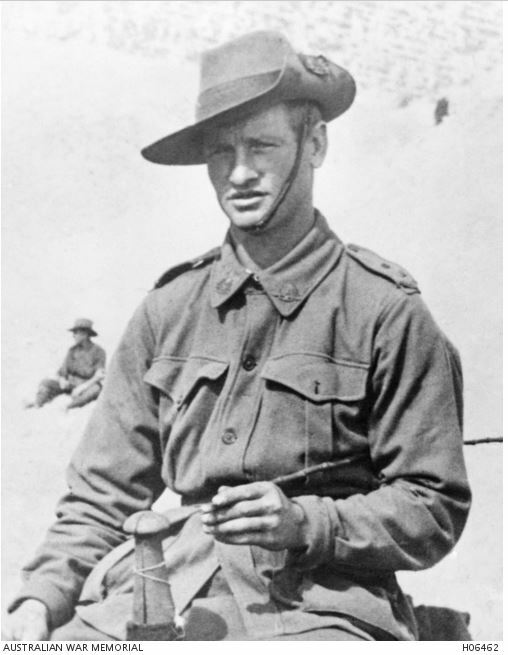 In early May, the 6th Battalion, as part of the 2nd Brigade moved from Anzac Cove to Cape Helles where there was an attempt by the allies to take Krithia. The second Battle of Krithia was on 8 May 1915 and the 2nd Brigade suffered 1000 casualties. Among them, Charles Henry Lindsay. With no known grave, Charles is remembered on the Helles Memorial at Gallipoli. Charles was honoured in Hamilton on the War Memorial and with a tree along Anzac Avenue.